So you’ve decided to make a book trailer, now what? First, the most important point is determining your budget. How much are you willing to spend? What are your objectives? Do you want to hire a company to do it for you or are you prepared to do it yourself? A professional book trailer can cost you on average around $1000 to about $10,000 – depending on what medium you choose, and the length of your trailer. Remember, the longer the trailer, the higher the cost. You don’t want it to be too long and lose the interest of those watching. Best to keep it around 1 to 2 minutes, including the end titles. In total, it cost about $ 8000. I hired a company to do the trailer, but I helped in the pre-production stages; the animatic (series of moving images edited together to determine timing and shot sequence) and timing. My objective was about getting as much visibility for my books as I can by creating a book trailer that looked like a movie trailer. 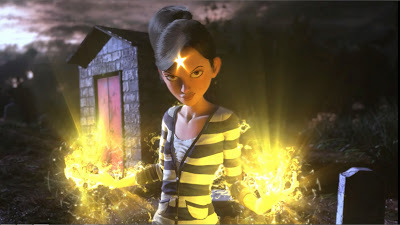 Since I chose to do a book trailer in a 3d medium, I hired a fantastic character designer to create my characters in 3d. With my limited budget, I could only afford 5 characters. 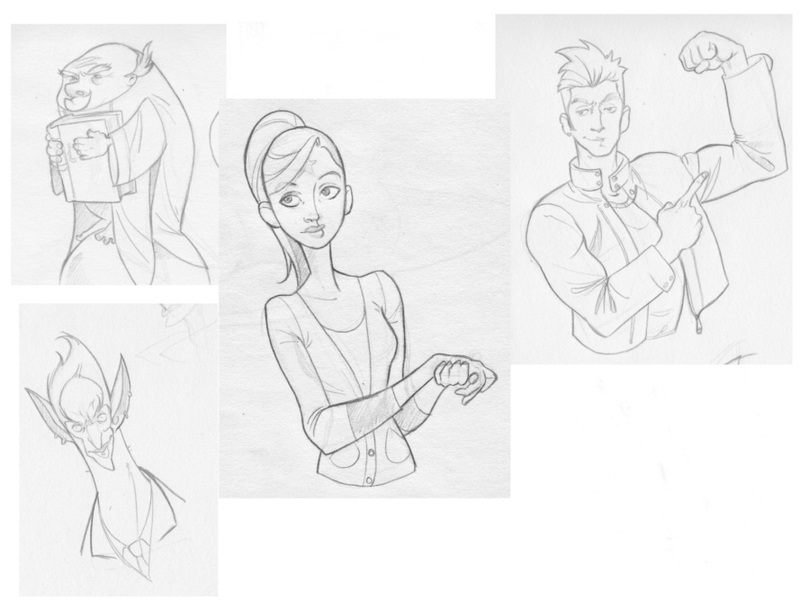 Since I had my storyboard in my head, I knew which ones I wanted. He sketched them out on paper first. Then slowly modeled them in 3d. We also needed to determine what to use as backgrounds. Environments are really important to the look of the final video; they set the mood. We created 5 different backgrounds for the trailer. Some were made entirely of a 3d environment and some were just blurred pictures as backgrounds. Like any great movie, a good book trailer starts with a script. Work in a beginning, middle, and end to your trailer. You need to grab the viewers’ attention, but don’t give away all the details of your story. They need to be left with a sense of intrigue, enough for them to want to read your book. Once I was satisfied with the blocking, the animator could now use this as a visual reference for shots and timing. 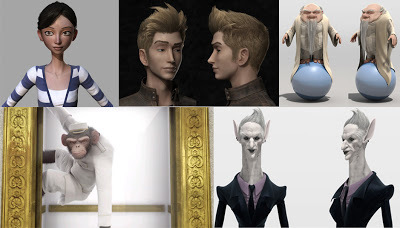 In the final stages of animation, the animator locks all cameras and polishes the animation with facials, and subtleties that were not animated in the blocking (hair, cloth). If you want to add music to your trailer, make sure you own the rights or have permission to use it. You can choose to download some public domain music or purchase music clips. I hired a musician who composed the music for the trailer. Good choice of music is critical, it sets the mood. We put all the renders into After Effects, added the credits and music and outputted the trailer. Done. Upload your trailer to Youtube, your website, facebook page and any other social media sites. Book trailer awards are also a good place to get more visibility. 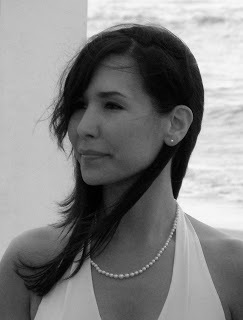 Kim Richardson is the author of the best-selling series, Soul Guardians. 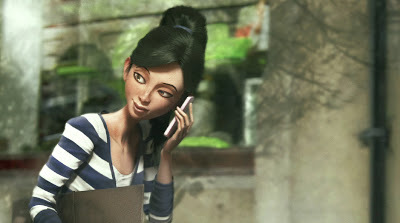 Born in Quebec, Canada, she later studied in the field of 3D Animation and became an Animation Supervisor for a VFX company. For many years she worked on Hollywood films and stayed in the field of animation for 14 years. Since then, she has retired from the VFX world and settled in the country where she writes fulltime. You can find her online at her blog. Check out her book on Kobo. Want readers? Hire a copy editor! Brilliant post – I love book trailers, if done right! Here’s mine, please let me know what you think!